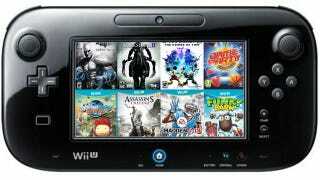 The Wii U launches in North America on the 18th of November, 2012. Here are the 23 games that are launching with the system, as well as those coming before March 2013. It's a rather large launch window Nintendo has defined for the Wii U launch, giving publishers four months to make it onto this rather expansive list. 23 of these games will be waiting for early purchasers when the system drops in November, with several of the games listed with unspecified November dates, meaning games like Madden NFL 13 and Cloudberry won't keep players waiting for too long. So, what do you folks think? Will there be anough to keep you busy on launch day?